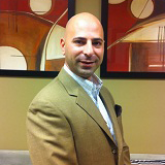 Prior to becoming an attorney, Yoni was a commercial banker for ten years. The banking background has provided Yoni with an extensive knowledge on financial instruments, and cash flows that he utilizes in the Medicaid Strategies he develops today. Yoni attended Law School in Texas in the evenings, while working full time as a commercial banker. He came to Florida and took the Florida Bar and opened his own firm. He was also a high school teacher for a couple of years, which provided him with the skill set necessary to sympathize with his clients and arrive at viable solutions. We are a small Elder Law and Special Needs Trusts law firm. We provide a consultative holistic approach to Elder Law, including the engagement of senior placement officers, clinical social workers, and professional care managers, as needed. We provide both the Medicaid Spend Down Strategy as well as the Medicaid Application process, in addition to Special Needs Trusts, Guardianships (including contested with the help of our "of counsel" Carol Rust, and Probate. Call us for a free no obligation consultation.